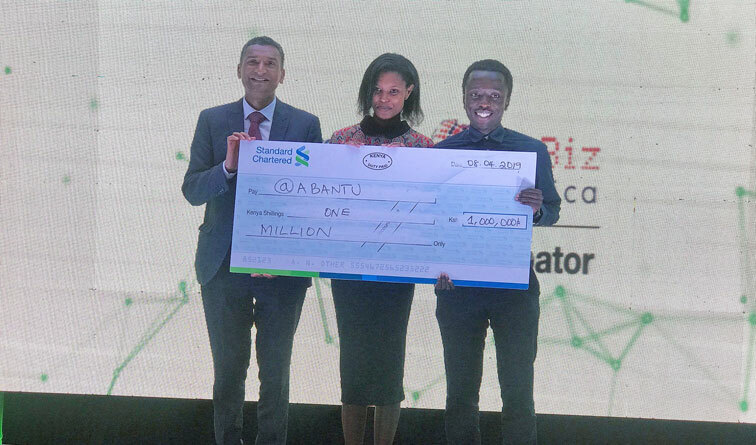 @iBizAfrica, Strathmore University and Standard Chartered are excited to announce the top five winners of this year’s Standard Chartered Women in Technology Incubator 2019. Five women-led teams shortlisted from over 170 applicants won KES 1 million in seed funding for their businesses. The five teams were selected from a pool of the top 10 teams previously shortlisted and were incubated at @iBizAfrica-Strathmore University for 6 months where they were offered coaching, mentoring and business management skills to expand their businesses to the next level. Abantu (Range) -A startup that focuses on the implementation of unique innovative technology-based solutions to problems that they are passionate about solving. Bumpy Maternity Wear – A fashion enterprise established in 2017 in Nairobi, Kenya to supply measure-to-wear clothes for middle class working mums. Dermi Joy Skincare – A local skincare brand that uses all natural cosmetics. Nature’s Bowl enterprise – offers nutritious composite flours that are used to make meals for children and the whole family. The winners will be supported with extended mentoring and a milestone-based disbursement of the winnings for a period of 9 months. Dr. Joseph Sevilla, Director @iBizAfrica- Strathmore University, mentioned “It was a tough choice selecting the winners from the top 10 pool of very talented young people with brilliant ideas. These five teams have shown us dedication and willingness to work and just like last year’s winners we are hopeful to see them succeed beyond this programme and expand their businesses to grow beyond the Kenyan market.” Strathmore University Vice Chancellor Designate, Dr. Vincent Ogutu, congratulated the winning teams and added “To innovate you have to be playful, experimental and be a person who never takes “no” for an answer. These are the qualities that the top entrepreneurs showcased”. Minimum eligibility: female founder, above 18 years, Kenyan nationality-5 points. Team-Does the team consist of at least 3 people with demonstrated capacity to execute: clearly defined roles, balanced skill set (team lead, business development, product development and marketing)-15 points. Problem–Is a real problem being addressed? Is there a clear description of this problem with evidence of real-life user pain points? –20 points. Solution-Is there problem/ solution fit? Is the solution innovative? Is the business leveraging on technology? Is the solution a new technology or a different way of doing things in the market? –15 points. Customer/users–Does the business have paying customers? Does the business have users of the product or the service? –15 points. Market–Is the market opportunity well described: total addressable, target and current market share? Are there high barriers of entry? How big is the market opportunity? –10 points. Business model -How does the business make money? Is it sustainable? Is the business scalable? –15 points. Social Impact–Does the business address any of the SDG goals? Is it highly relevant for Kenya in terms of social impact? –5 points.